By looking at the number of patents granted for renewable energy technologies between 1990 and 2005 the author shows that a period of increased innovation followed the introduction of the two key energy laws. Based on these results, the study concludes that a growing market positively affects innovation. According to the author, however, the connection between demand and innovation is complicated. There are interdependencies between these two areas and once demand has been established, the relationship also works the other way around, with innovation driving demand. In addition, when levels of innovation within the different energy sectors – solar, wind, water, biogas and geothermal – were considered separately, the association between demand and innovation was weaker than overall. Solar and wind energy showed the highest levels of innovation in terms of patents granted. Increased public spending on research and development in the sector also led to greater innovation. EC. (2012). Germany's renewable energy use outstrips EU targets, says new OECD report. 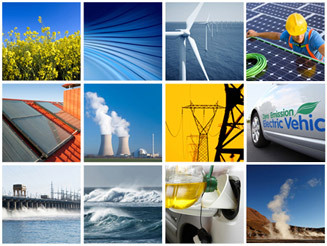 Strategic Energy Technologies Information System. Chambers, M. (2012). Germany eyes job boom in renewables study. Reuters.